As most experts who work for an SEO company would advise you, your Google “My Business” listing is quite possibly one of the most important online tools you can put into practice with the intent of improving your search engine rankings. Local businesses of all sizes and varieties can greatly benefit from simply paying attention to the smaller details regarding the information they provide and encouraging their existing and prospective customers to engage in relevant online discussions and leave helpful reviews. Whether positive or negative in nature, reviews are your golden ticket to boosting your online rankings and even bettering your online image. By simply interacting with your customers and responding to reviews or comments, you’re effectively demonstrating to your customer base and target audience that you value their opinions and are taking what they have to say into account. Continue reading for more essential information on how optimizing your Google business listing can help you to develop, maintain, and strengthen your overall online presence as well as increase your bottom line. Ascertain that your business name, address, phone number (NAP), and hours of operation are unanimous across all platforms on which your business is mentioned. If you fail to present a united front in terms of how your business is portrayed on various social media or web site platforms, then this can look very unprofessional and cause a great deal of confusion for your online customers. It’s especially confounding for relatively small businesses that are trying to expand the scope of their clientele and reach a wider customer base. 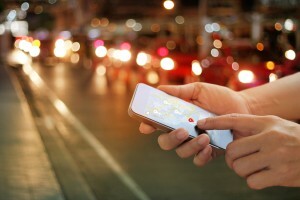 Google generate geocodes based on your business’s general location in conjunction with major cities or intersections that are within the closest proximity to where you are. This is problematic because if your business happens to be located in a region just outside of Toronto, such as Vaughan, your address will appear as if it were actually in Toronto, making it all the more challenging for people who are new to the area or aren’t familiar with it to actually find your business. Not only is this inaccurate and extremely frustrating, but it could result in you losing potential customers. Make sure that your address is accurately represented consistently throughout all online platforms on which it appears. Accurate business categorization is essential to guaranteeing that your business attracts meaningful leads and customers that are actually seeking out your products or services. Rather than simply listing your eatery as a restaurant, you might want to specify exactly what type of cuisine you specialize in or offer. Specifying that you’re an Italian or Indian restaurant, for instance, will make it a lot easier to attract potential customers who are seeking out those types of cuisine. Never underestimate the power of encouraging or directly asking your customers to leave online reviews. It helps you gain valuable insights in terms of how you can improve your business practices through your Google reviews and reputation. You don’t need to have a large quantity of reviews per se in order to achieve high rankings on search engine results pages, but the amount of your customer reviews and ratings should surpass those of your competitors. You should also keep in mind that your responses to reviews—both good and bad ones—are especially influential in helping people form opinions of your business. A lack of a response to negative reviews can sometimes speak higher volumes than addressing the issue directly, so you should always come up with an appropriate, friendly, and helpful response with the intent of rectifying any issues your customers may have encountered. 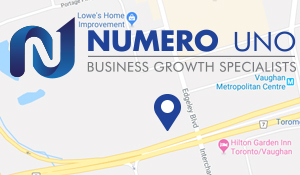 Numero Uno Web Solutions is an upstanding and results-driven SEO firm just outside of Toronto, in Vaughan, ON. We offer a variety of SEO-related services to help improve your business’s overall online presence, including online reputation management in Toronto and throughout Canada and the United States. For more information on how we can help boost your business’s rankings on search engine results pages by using industry recognized best practices, please contact us today!